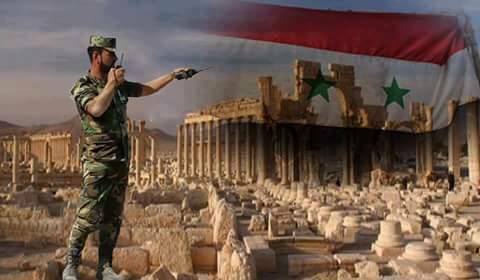 The Syrian armed forces this morning have imposed full control over the district of Al-'Amariyah, Palmyra northern gate. While, in the western part of the city, the Syrian armed forces were forced to retreat from the archaeological area after Daesh the night has taken the ‪#‎Badiyah‬ district. The latest progress report the release of the neighborhoods of al-Mutaqaedeen and Waljameiat, while elsewhere continuing fierce clashes. "The liberation from the Syrian army and its allies was carried out very professionally," said Abdulkarim. Meanwhile, the Syrian flag returned to wave on the ‪#‎Palmyra_Castle‬.